Posted on June 1, 2013 | 7458 views | Topic : Featured, Investment. 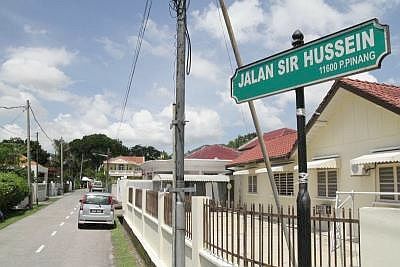 Named after Sir Hussein Hasanally Abdoolcader who is also known as Malaya’s First Indian Knight, Jalan Sir Hussein is a quiet road off Jalan Mesjid Negeri. In his very fluent Hokkien, he told me that he has been followingMyStory and I should write about his grandfather’s road. There is a book written on the legacy of the Abdoolcaders entitledMalaya’s Forgotten Sons: The Abdoolcaders of Hindostan in Malaya. 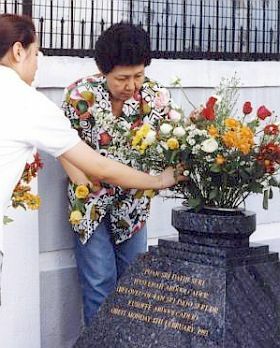 Haseenah’s granddaughter Christina (left) and daughter Julie placing flowers on her grave on the third anniversary of her death. In 1998, in what was seen as a step to heal the wounds, then PM Tun Abdullah Ahmad Badawi announced an ex-gratia goodwill payment to those judges suspended or sacked during the crisis. Sadly, Eusoffe is no longer alive. 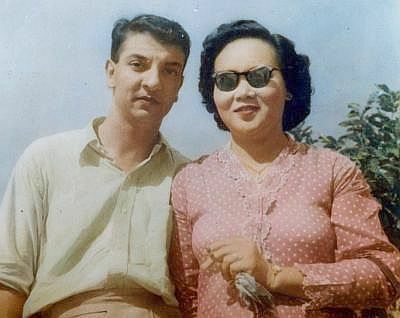 Two years earlier, in 1996, he committed suicide, apparently because he was profoundly depressed following the death of his dear Chinese wife, Haseenah in 1993.